Internet safety for kids is more important that ever. 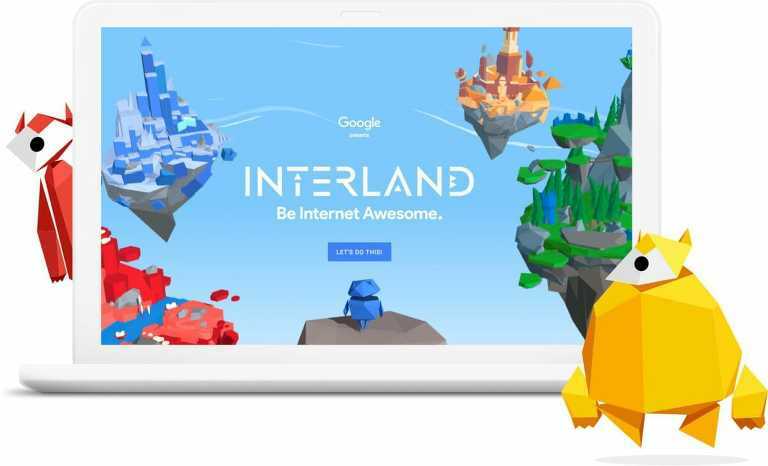 Google has created Safer Internet Day to help spread the word on internet safety and to give tools to parents and caregivers in teaching children about internet safety. Google has created a new curriculum/app called “Be Internet Awesome” for teachers and parents to teach their children how to stay safe online. When I was a kid I remember doing programs like “Stay in School”, “Stranger Danger,” and “Red Ribbon Week.” While these were all worthy causes and remain to be so, it is becoming more and more important for us to teach our children about how to stay safe online. Predators can disguise themselves as anything they wish to be online and it takes thoughtful preparation and care to guard ourselves and our families against their efforts. I believe in this program and am happy to partner with Google. This is a sponsored post, all words and opinions are my own. “Be Internet Awesome” was started by Google as a way to give parents/teachers/ and caregivers a playbook by which you can teach your kids in an easy to follow step-by-step way. This family program was designed specifically for families to stay safe. 5 tips to help you Be Internet Smart : This includes keeping private information like your address, name, email, photo, and phone number. Protecting that information may seem obvious to us, but our children need to know what is and isn’t okay to share with their new friend online. Looking for warning signs like spelling, knowing what a secure web address looks like and avoiding scams! This area will help your child learn how to make and keep safe passwords so they are able to protect their information from people who would want to steal it! This area will help teach your children how to stand up to bullies and report them! It is also made to help your children know how to lead with kindness and be a peacemaker in their online interactions. This area is going to help your child learn the tools to be brave to report things that see that may not be appropriate and who to report it to! Talking about it and seeking help is a key to communication for staying safe online. Come together for a Better Internet with your family by using Be Internet Awesome starting with the program’s New Family Guide. You can then have your child test out their new skills with a test available on Interland at g.co/interland. This game is so interactive and fun! You go about spreading love to others online and learn about the five different ways to be awesome online through different challenges. Here is a little bot who is sad, and will become happy as you give it a little love. As you spread love you make each bot a little happier and you earn points towards your goal! They even shout a little “wahoo” as you send them a kind heart! Get your child’s school involved to let them know about this initiative too! All of these resources are available for FREE and right at your fingertips. This would be a perfect family night and a game your children will probably ask to play simply because it is fun! Want to take the pledge? Parents bringing this conversation home can take the challenge together by committing to the “Be Internet Awesome Pledge.” This would be the perfect way to ensure that everyone in the family is onboard with the same guidelines for keeping the home safe of online predators.